You don’t have to be a CA member or even live in Columbia to play at Fairway Hills Golf Club! Fairway Hills is one of the best conditioned courses in the area and offers daily play at affordable rates. Moving through woodlands and around bunkers, this course plays just a bit more than 6,000 yards from the back tees, giving average hitters a chance to score – but with water on 12 of 18 holes, it also forces the bombers to be accurate! 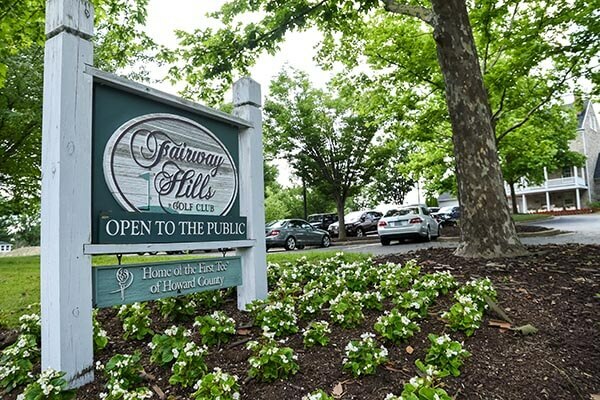 Fairway Hills also features a driving range, a pro shop, lessons, leagues – and some of the best hot dogs in Howard County! It is also the only place in Howard County where you can experience the new and exciting sport of FootGolf. FootGolf combines soccer and golf into one and is perfect for all ages. To learn more, visit the FootGolf page. 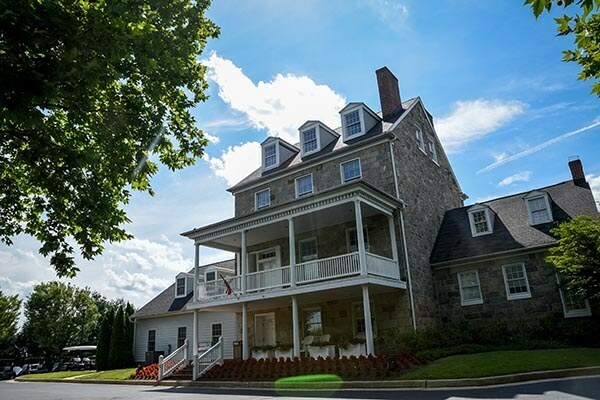 Looking to hold an outing, tournament or fundraiser? Our professional management staff handles all of the details so you can enjoy your event. Our variety of tournament management packages allows you to customize your event to fit your needs. Catering options can be anything from boxed lunches to a sit-down meal. We’ve got you covered! To learn more, click here or call 410-730-1112.